This vivid account of hustling in New York City explores the sociological reasons why con artists play their game and the psychological tricks they use to win it. Terry Williams and Trevor B. Milton, two prominent sociologists and ethnographers, spent years with New York con arti... read full description below. Terry Williams is a professor of sociology at the New School for Social Research. He specializes in teenage life and culture, drug abuse, crews and gangs, and violence and urban social policy. He is the author of The Cocaine Kids: The Inside Story of a Teenage Drug Ring; The Uptown Kids: Hope and Struggle in the Projects; and Crackhouse: Notes from the End of the Line, and is the founder and director of the Harlem Writers Crew Project, a multimedia approach to urban education for center city and rural youths. 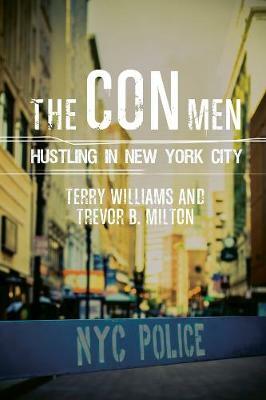 Trevor B. Milton is assistant professor in social sciences at Queensborough Community College, CUNY, and author of Overcoming the Magnetism of Street Life: Crime-Engaged Youth and the Programs That Transform Them. His areas of research include prison reform and alternative-to-incarceration programs and the intersectionality of class and racial identity.